Joe Jordan is the MUFON State Section Director for Brevard County, Florida. Brevard County is the home of the Kennedy Space Center. Joe has been involved in the field of Ufology for sixteen years, becoming a MUFON member in 1993. It wasn't long before Joe began to see that to get to the truth of the UFO phenomenon you would need to get to the closest point on contact, the abduction experiencers. In 1994 Joe Jordan co-founded CE4 Research Group to expand his research and document the findings of his work with the Alien Abduction Experience. His findings will challenge your preconceived notions of the Alien Abduction Experience. David James Ruffino, LPT, works in Pharmacy services during the day and as a researcher, webmaster and counselor during nights and weekends. David, a Messianic Jew, is an ordained minister, a field investigator with MUFON, the Mutual UFO Network, and has authored many articles dealing with UFO's and Alien Abduction. No stranger to the UFO realm, David grew up with UFO's and states, "UFO's and sci-fi were a religion in our household. I've experienced them firsthand on a few occasions, I know where they're really from, and I know how to make them go away! The world is going to experience many shocking things and I'd like to prepare them the best that I can..."
1. The Message of the Roswell Event: Warning, Teaching, or Salutation? In 1991 after completing his education at Carroll College in Montana, David Flynn created the "watcher Website" combining his background in Theology and Clinical Psychology in the research of Biblical Ufology. David's website is a repository for research dealing with UFOs, the Monuments of Cydonia on Mars, Angels, Aliens & End Time Prophecy. David has presented this research and his latest discovery of ancient geoglyphs near Titicaca, Bolivia on many radio programs and conferences, including Coast to Coast AM “Ancient of Days” lectures in Roswell, the “God, Man, ET” series at the University of Wisconsin in 2003 and the "Kokopelli 2012" in Palm Springs in 2007. His decidedly alternative views on Cydonia were presented on the television programs "Strange Universe", and the PAX TV's -"Encounters with the Unexplained: What is Really on Mars," which explored the meaning behind the Pyramids and Sphinx-face found in NASA images of the surface of Cydonia Mars. His book "Cydonia: The Secret Chronicles of Mars" discusses knowledge that was previously known only by the highest ranking members of Mystery Schools. David's next book will be available the summer of 2008. 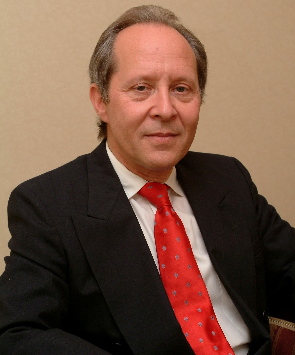 Peter Robbins was born in New York City and grew up in the borough of Queens and the village of Rockville Centre, NY. He attended the University of Bridgeport in Connecticut and the School of Visual Arts in New York, graduating with a BFA in painting and film history. His teaching credits include the School of Visual Arts’ continuing education faculty, St. Ann’s School in Brooklyn Heights and the Oklahoma Council on the Arts. Robbins has worked in different capacities in New York theater for years and is the longtime House Manager for the city’s Mirror Repertory Company. He has written and lectured extensively on the subject of UFOs and government secrecy for more than twenty five years and was Editor-In-Chief of the ground-breaking website UFOcity.com from 1999 until 2004. Peter has appeared on or been a consultant to numerous television and radio shows, both in the States and abroad. He is also a regular contributor to UFO and investigative-related publications and websites. When not on the road, he divides his time between Ithaca, NY and New York City. Dennis moved to Roswell in 1996 to pursue his interest in Ufology, after retiring from the Texas Highway Department in El Paso, with 33 years in civil engineering. Prior to that he served 3 years in a U.S. Army engineering battalion. He was the UFO Investigator and served on the Board of Directors for the International UFO Museum between 1996 and 1998. Today he is an independent researcher, investigator, journalist and lecturer. Dennis has done over 350 TV, radio and other media interviews related to and since the 50th anniversary of the Roswell Incident in July, 1997, including; CNN, MTV, SCI-FI, The TODAY show, Dateline, Nightline, NBC, ABC Nightly News, Jeff Rense, “Sightings on the radio”, Ted Loman’s “Off the Record”, Rob McConnell’s “X-Zone Radio Show”, Art Bell’s "Coast to Coast AM", Discovery channel, National Geographic and History channel, to mention a few. Dennis is a certified UFO investigator with MUFON (the Mutual UFO Network), and is a board member of the advisory board for the Great Pyramid of Giza Research Association. His main areas of research comprise the 1947 Roswell Incident, Area 51, Underground Bases and the pyramids of Egypt. He currently writes editorials for 30 web sites and UFO magazine, pertaining to his research, and works closely with well-known researchers Stanton Friedman, Frank Warren and many others. Roswell Then & Now: Exciting New Evidence! Chuck is a Principle IC Mask Design Engineering Consultant with Zukowski Inc. and has over 20 years of Mix Signal IC Microchip design. He has an Associates degree, a Bachelors degree in Business, and a Certification in Electronic Engineering. Chuck is also a Sworn Deputy Sheriff for Colorado’s El Paso County Sheriff’s Department, Special Ops Reserve Unit. Among his investigations, Chuck has become quite fluent with the Roswell Incident of 1947. He’s worked closely with UFO Investigators, Don Schmitt and Tom Carey and Archeologist, Dr. Bill Doleman, UNM., on two separate UFO shows; SCI-FI Channel’s special, “Roswell, Startling New Evidence”, and NBC/SCI-FI Channel’s “SCI-FI Investigates, Roswell” episode. Chuck has also contributed to the SCI-FI Channel’s book, “The Roswell Dig Diaries”, and has written a workbook, “Extraterrestrial Archeology”, a field guide to UFO Archeology. Debbie Ziegelmeyer:	 Roswell Then & Now: Exciting New Evidence! 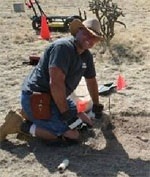 - Armature UFO Archeologist worked with University of New Mexico’s Archeology Dept. - Co-owner of Arco Fire and Water Restoration, Largo Properties, Largo Commercial Properties, and Custom RV and Boat Storage. July 2003, added to the Roswell International UFO Museum exhibit. Co-written a workbook, “Extraterrestrial Archeology”, a field guide to UFO Archeology. Dr. Donald R. Burleson is a mathematician, widely published writer, semi-retired educator, and experienced UFO investigator. He holds Master's degrees in both mathematics and English and a Ph.D. in English literature and has taught at several colleges and universities. He serves as the New Mexico State Director for MUFON, the Mutual UFO Network, for which he is also a certified field investigator, research specialist, and consultant. He is the author of seventeen books, including The Golden Age of UFOs and UFOs and the Murder of Marilyn Monroe. He has worked on many major UFO cases, including the Lubbock Lights, the Levelland, Texas landing case, and the Roswell incident. He has appeared on Good Morning America, the History Channel, Fox News, and the Discovery Channel in connection with his work in the field of UFO studies. Dr. Burleson and his wife Mollie have lived in Roswell, New Mexico since 1996. John S. Carpenter, MSW, LCSW works as a licensed psychiatric therapist in Springfield and Branson, Missouri. John obtained a B.A. in Psychology from DePauw University, and a Masters in Social Work from Washington University in St. Louis, and was trained in Clinical Hypnosis by the Menninger Clinic. He has appeared on the popular TV shows Sightings, Encounters, the Montel Williams Show, Tineke and the Paranormal (Holland). He has been interviewed for numerous publications, including Omni, Time, USA Today Weekend, and Women’s World. He presented 6 papers at the prestigious M.I.T. Abductions Seminar in1991. 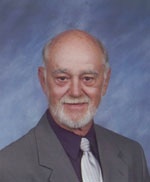 John also served as the first Director of Abduction Research for the Mutual UFO Network (MUFON) from 1991 until 2000. He has produced 8 research DVDs of his investigations. Presently, he is an editor and board member for the on-line Journal of Abduction Research (JAR). Karyn Dolan was born and raised in the Finger Lakes region of upstate New York, and has had a keen interest in folklore and ghost stories all her life. She is now the host of "Through the Keyhole," a weekly internet radio program devoted to Ufology and the paranormal. On her show, as well as in her private research, she is interested in the connections between various "fringe" topics, such as cryptozoology, Ufology, poltergeists, and hidden history. For many years, she has engaged in in-depth studies of ancient, pre-Christian religions, and has a strong interest in comparative myth. Karyn also provides copy editing and transcription services for various researchers and writers in the UFO/paranormal field, including her husband, Richard Dolan, who is author of UFOs and the National Security State. Karyn Dolan lives with her husband and their two homeschooled children in Rochester, New York. Her show can be heard on paranormalradionetwork.com, Sunday afternoons from 5-7 pm EST. Greg Bishop has been studying UFOs and the paranormal for most of his life. His first article on the subject was published in 1988. In his book Project Beta: The Story of Paul Bennewitz, National Security, and the Creation of a Modern UFO Myth (2005 Simon & Schuster/ Pocket Books) he wrote about a government campaign of disinformation perpetrated against an unsuspecting U.S. citizen. The no-man's land between the extremes of wide-eyed belief and closed-minded debunkery has fascinated Greg and led to the birth of a magazine he co-founded called The Excluded Middle, which was a journal of UFOs, conspiracy research, psychedelia and new science (now online at excludedmiddle.com ). Wake Up Down There!, a collection of articles from the magazine, was published in 2000. His third book, Weird California, a portrait of strange and eerie history and places in the Golden State, was released by Sterling Publishers and Barnes & Noble in March of 2006. Greg’s current writing can be seen daily at the blogsite ufomystic, which is co-hosted by noted paranormal author Nick Redfern. Greg's writing has appeared in the L.A. Weekly, Fortean Times, UFO Magazine, Magical Blend, The Nose, Book Happy, and in the book-length anthologies Conspiracy And Cyberculture, Zen And The Art of Close Encounters, Kooks, and You Are Being Lied To. His article ?Ethnic Weapons For Ethnic Cleansing? was included in the top 20 of the most underreported stories of 2001 by the media watchdog group Project Censored. For two years (until it was shut down by the FCC) Greg hosted The Hungry Ghost, a radio show of interviews and music airing on a pirate FM station in Los Angeles. His current show, Radio Misterioso can be heard on Sundays from 8-10 PM PST at www.killradio.org. Interviews with fringe-topic researchers and weird music are the usual fare. “ET Presence & Reptilian Signs from Ancient Turkey to modern New York City” Farah Yurdozu is Turkey's first female UFO researcher – writer, and author of several best-selling books in her native land. Fluent in Turkish, English and Spanish, she’s known on several continents as an authority on UFO’s, paranormal and the metaphysical. Now living in the New York City area, Farah continues her work as a UFO researcher, writer and lecturer, and appears in major UFO conferences all over the United States from Roswell to California, Nevada to New York City. She is a columnist for the leading monthly publication UFO Magazine and a journalist/ producer at Jerry Pippin Internet Radio. Though her work reflects a passion for all aspects of the paranormal, her main area of study is abductions and close encounters. Farah’s latest book “Confessions of a Turkish Ufologist” documents her native land’s 5000-year UFO history as well as her own family’s three-generation history of ET contact. In 2000, he published a 500-page study, UFOs and the National Security State. This is the first volume of a three-part historical narrative of the national security dimensions of the UFO phenomenon from 1941 to the present. Included are the records of more than fifty military bases relating to violations of sensitive airspace by unknown objects, demonstrating that the US military has taken the topic of UFOs seriously indeed. Apollo 14 astronaut Dr. Edgar Mitchell called Dolan's book "monumental," while Dr. Hal Puthoff, Director of the Institute for Advanced Studies at Austin, declared it to be "a must-read for serious students in the field." Dolan has appeared on numerous television documentaries for the History Channel, Sci Fi Channel, as well as BBC and European networks. He appears regularly on radio stations throughout the U.S., including Coast to Coast, and has been a featured speaker at conferences internationally. In 2006, he hosted a six-episode series, Sci Fi Investigates, produced by NBC for the Sci Fi Channel. 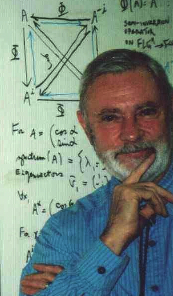 Dolan has published numerous articles on anomalous phenomena, science, and the intelligence community. In 2003, he was a founding member of Phenomena, a magazine dedicated to leading edge issues pertaining to science and society. Richard Dolan also continues to research and write volume two of UFOs and the National Security State. He lives with his family in Rochester, New York. The Maurizio Cavallo Story: How do we prepare for Contact? Paola Leopizzi Harris (Italy/Europe/Vatican) is an Italo-American photojournalist and investigative reporter in the field of extraterrestrial related phenomena research. She is also a widely published, free-lance writer, especially in Europe. She has studied extraterrestrial related phenomena since 1979 and is on personal terms with many of the leading researchers in the field. From 1980-1986 she assisted Dr. J. Allen Hyneck with his UFO investigations and has interviewed many top military witnesses concerning their involvement in the government truth embargo. In 1997, Ms. Harris met and interviewed Col. Philip Corso in Roswell, New Mexico and became a personal friend and confidante. She was instrumental in having his book The Day After Roswell, for which she wrote the preface, translated into Italian. She has spoken all through Europe, ( Ireland, England Switzerland, Germany and Belgium) of the Importance of full disclosure. Her new non-profit association, Starworks Italia, will continue to bring American speakers to Italy and promote disclosure and exo-political dialogue world-wide. She has a regular column in Area 51 UFO Magazine, has written for Nexus, Australia, Explora, among others publications. 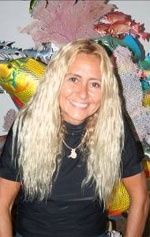 Paola lives in Rome and Boulder, Colorado and has a Masters degree in Education. She teaches history and photojournalism and On-line classes in Exopolitics for Dr. Michael Salla’s Exopolitics Institute, for which she is an International liaison director. Alejandro is the Director of Public education for the Mutual UFO Network (MUFON). MUFON is the largest US civilian UFO investigation organization. It has thousands of members and hundreds of certified investigators throughout the world. MUFON's online reporting database actually allows the public to view all reports, including pictures and videos submitted by witnesses. MUFON receives over 2000 reports a year, and is one of the first organizations the media contacts for UFO information. Representing MUFON, Alejandro lectures, does televisions and print interviews, and has been interviewed by radio stations across the country, including the very popular Coast to Coast AM. In this presentation Alejandro will be presenting MUFON cases and the apparent shift in the media's coverage of UFOs, especially in the national arena. His role includes media relations, which gives him unique insight into the media's handling of the UFO subject. He will share his first hand experiences including some of the larger cases such as Stephenville, Texas, and news clips that support that there is a positive change in the works. Together we can continue to help facilitate the awakening of the sleeping giant. Copyright © 2008 CE4 Research, Inc. All Rights Reserved.